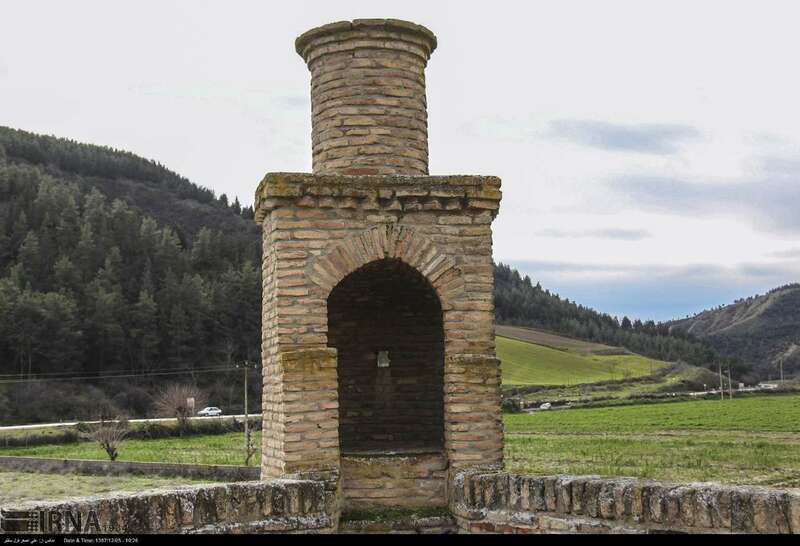 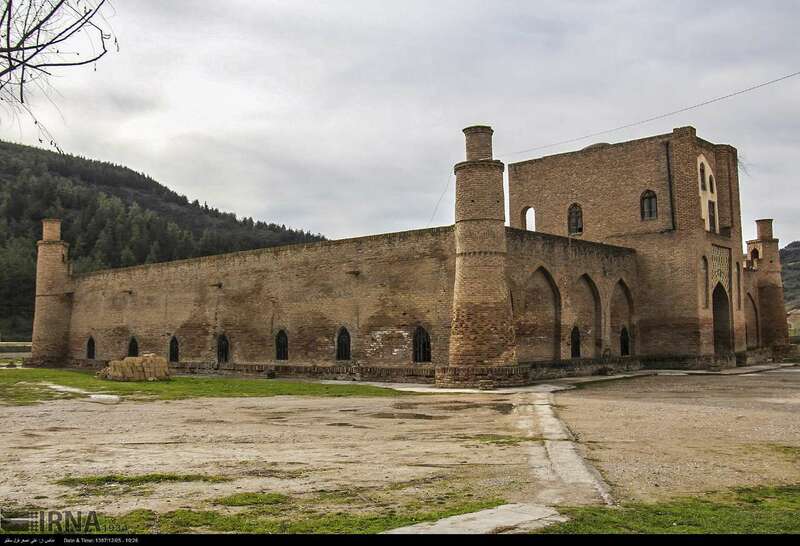 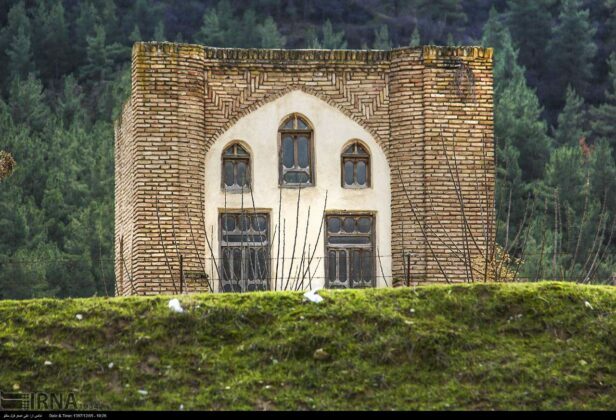 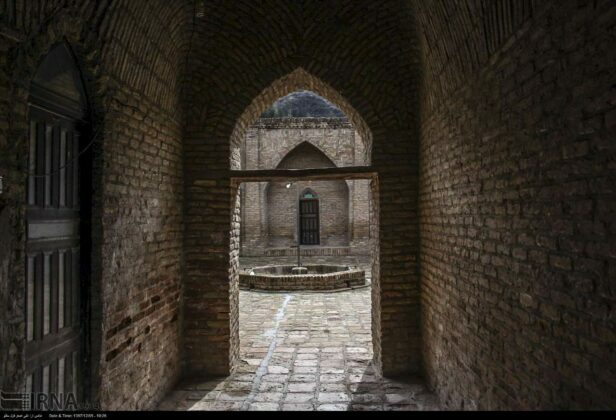 The school and mosque of Karim Ishan located in Kalaleh County in the northern Iranian province of Golestan is a structure built during the Qajar era. It is a special building in terms of architecture, as it combines the typical features of the monuments of Central Asia with Persian architecture. 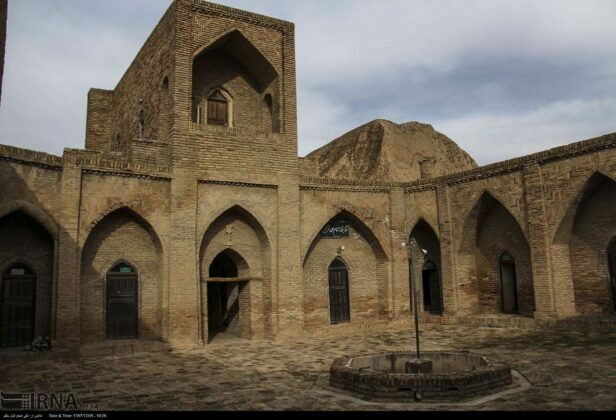 Although the mosque is not an ancient structure, the properties of the ancient buildings could be seen in it. 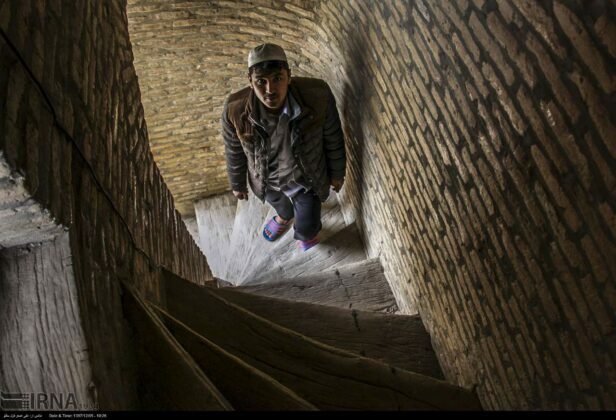 Its length is about 17 metres and its width about 13. 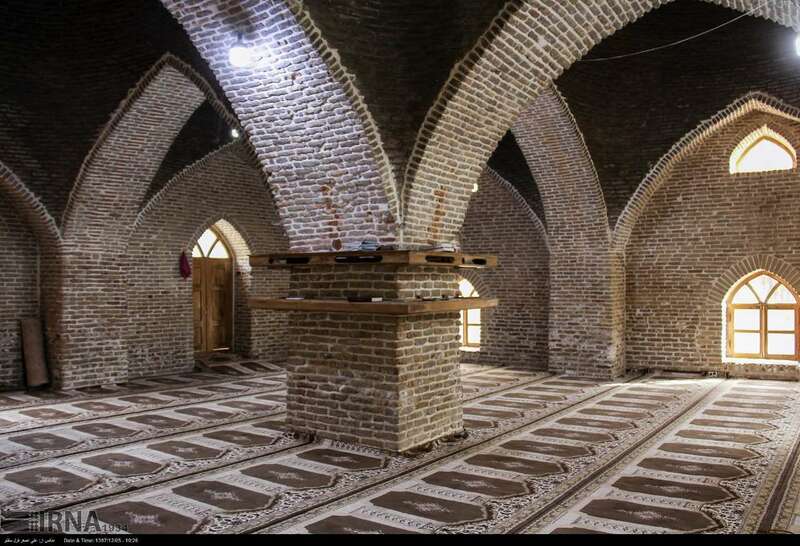 The brick building of the mosque, which has no ornaments, is constructed with a square-rectangular plan. The mosque consists of a porch with an entrance to the southern front and a roof covered by four domes. The domes are architecturally asymmetric and arranged in a very precise, orderly style. 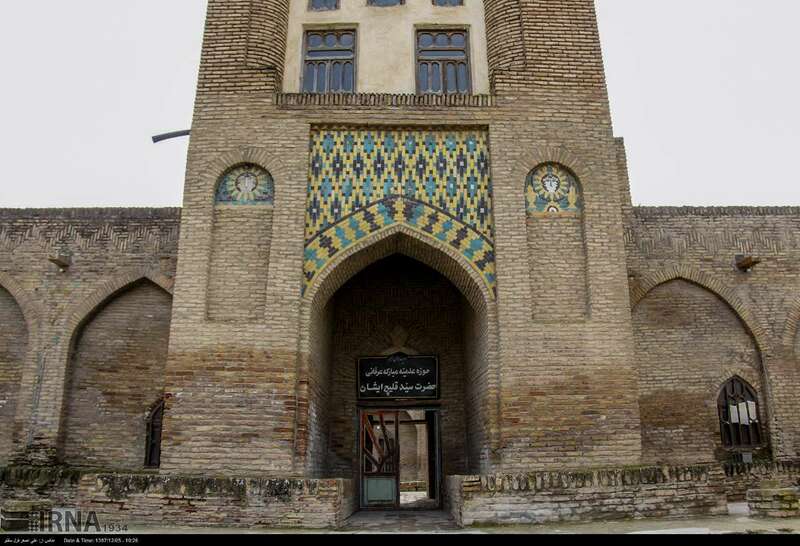 The school of Karim Ishan, which is located near the mosque and on the southwestern side, is beautifully constructed with a four-sided or square plan. 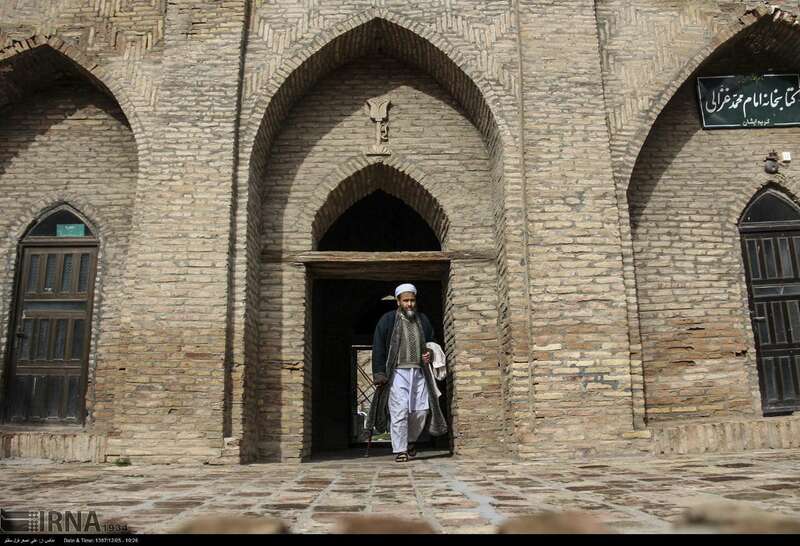 Two small minarets are erected at the entrance. In addition, four more minarets have been built at the four corners of the school building. 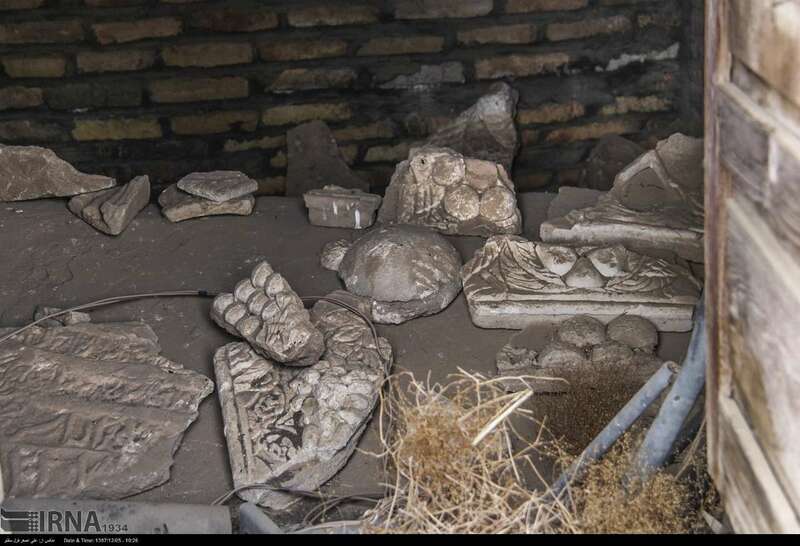 The walls, minarets, arches, roof and the floor of the courtyard are covered by bricks, some of which are 20 x 40 cm. 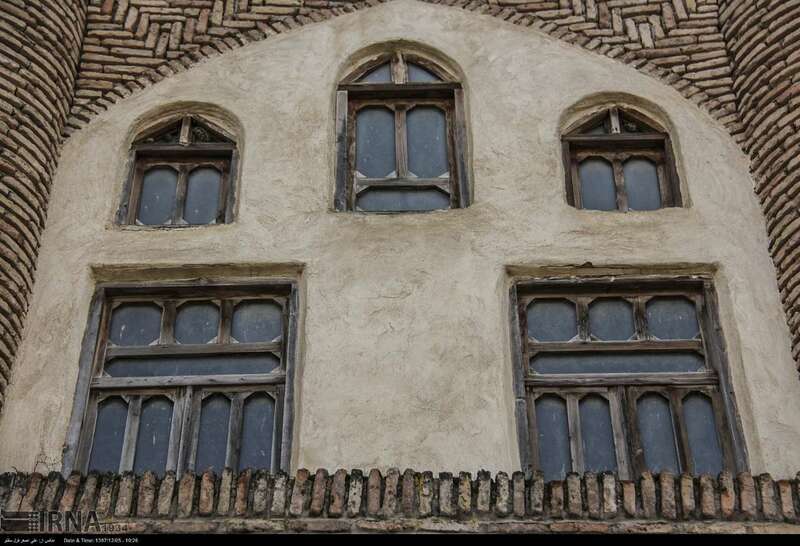 In several places, you can see gypsum windows. 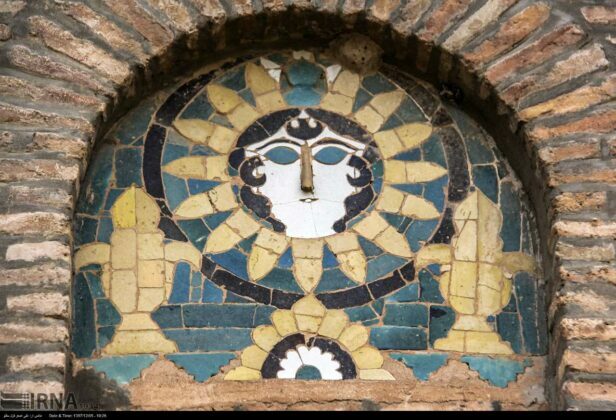 The only part of the building in which tiles are used is the exterior of the school which is decorated with geometric shapes. 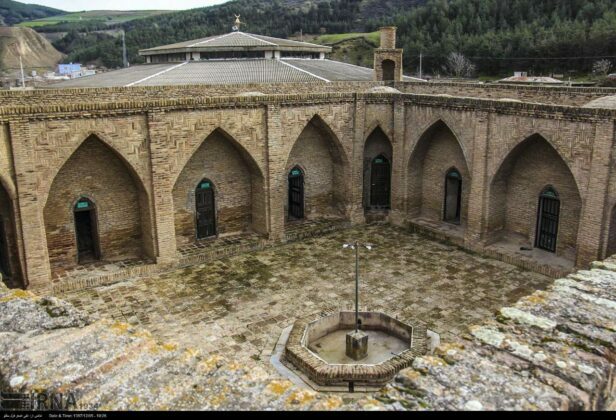 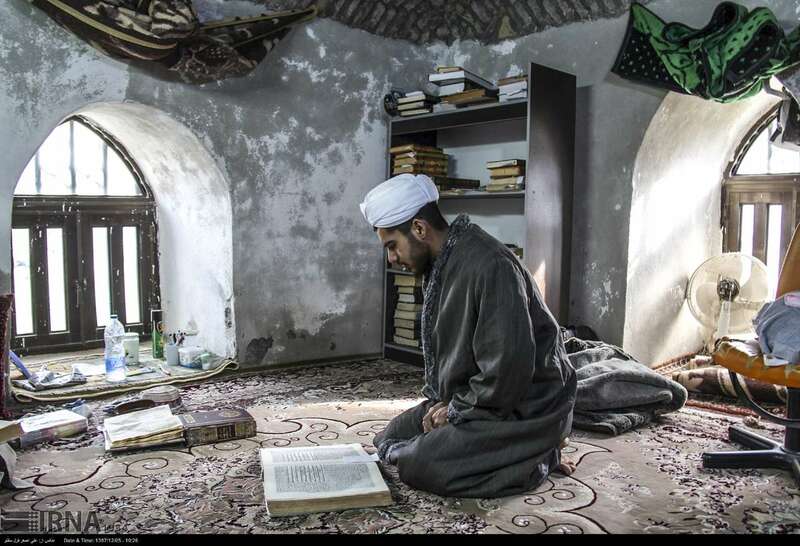 The buildings of the mosque and school were built in 1328 AH and are registered as a national heritage.